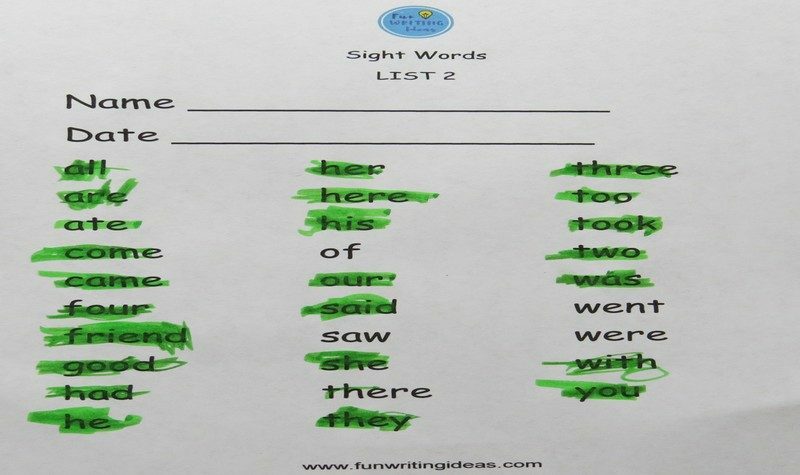 Find out how your child is doing with sight words using these 5 easy steps! The key is to keep the atmosphere very positive. I always tell my children and students that these activities help me (as their teacher) know how to teach and help them. 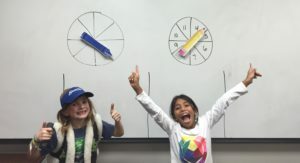 These activities help me know which activities to do and which games to play to help them keep learning! Now for the 5 steps! Once a week or twice a month, have the children write as many sight words as they can in five minutes. Count the words that are spelled correctly. If they write at least ONE more word than the time before, give them a sticker or whatever reward you want! 2. Once or twice a month, say the words that the children have learned. Have the children write each word down to make sure they can remember how to spell them. Continue to practice any forgotten words. 3. 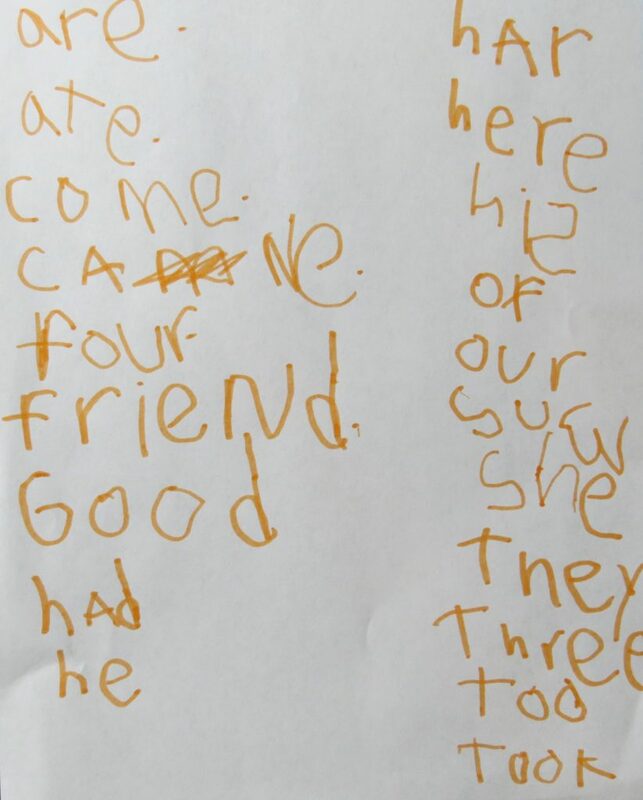 Once a month, say complete sight word sentences that the children have learned and practiced. 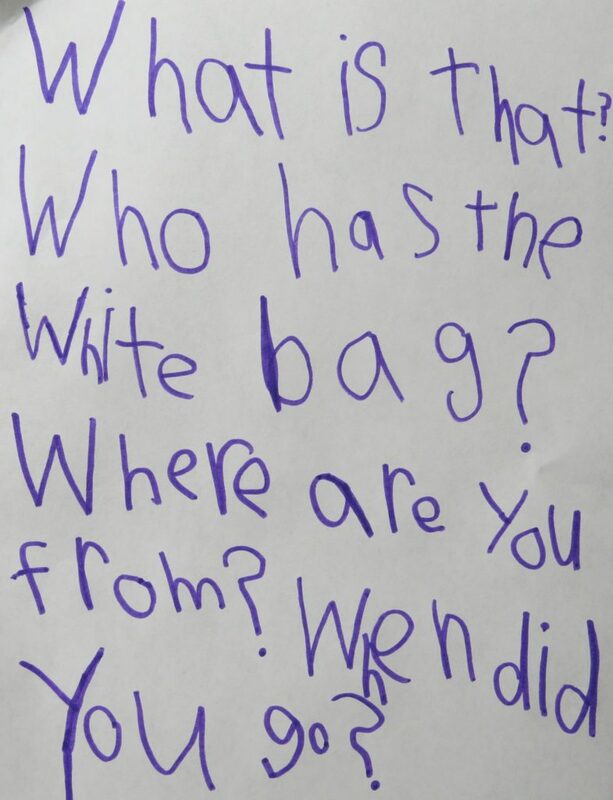 Have the students write them down. Continue to practice any forgotten words. 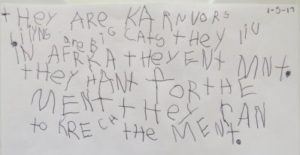 When my son was 5 3/4 years old, he wrote about lions. Then, I gave him 30 minutes to write. This was an informal assessment to find out what he was able to do all by himself. 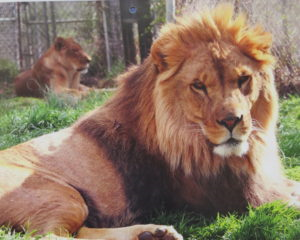 He spoke a couple more things that he knew about lions then went back to writing, adding the last two sentences. Translation:They are carnivores. Lions are big cats. They live in Africa. They eat meat. They hunt for the meat. They run to catch the meat. Notice how he mixed correctly spelled words with phonetically spelled words. 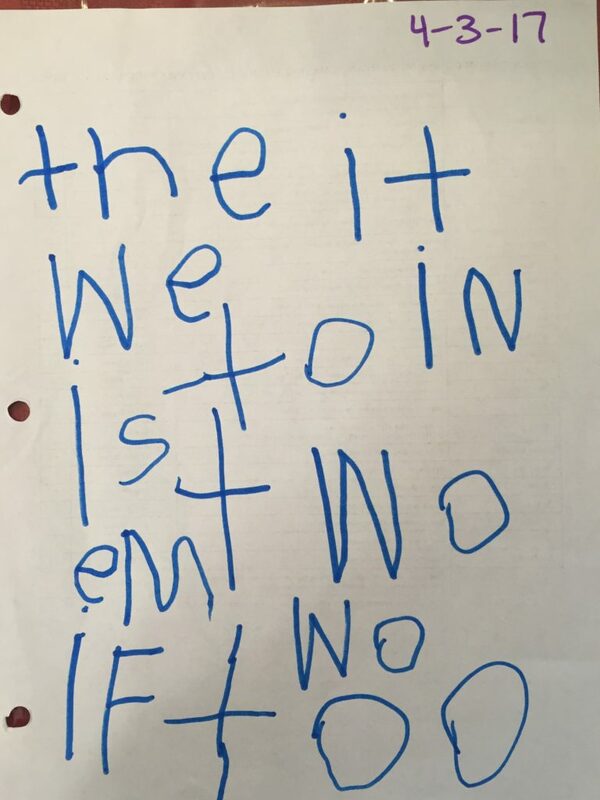 The lion piece that my son wrote was after he had spent a year working on letter sounds, writing sight words and sight word sentences. 5. 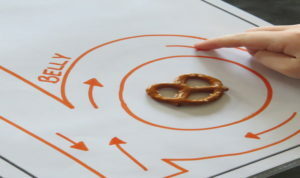 You can also assess the children’s ability to READ the sight words. 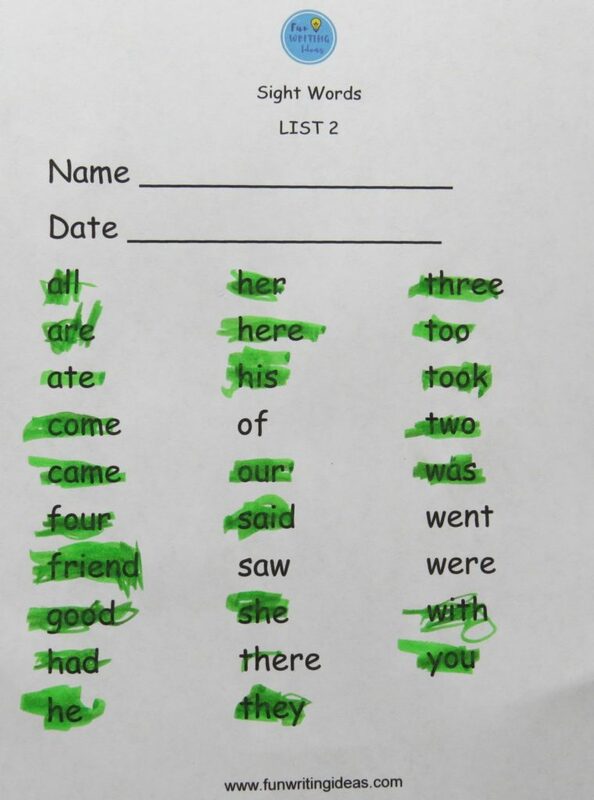 Print out the list of words that they’ve completed most recently. Have each child highlight all the words that they can read easily and confidently. Continue practicing any unknown words. Reward the students when they can read all of the words on their list!